You're going to be happy you landed here. My name is Greg. I'm the trustee for an estate which owns various parcels of land. I've been given the task of liquidating the estate, so I created this website to showcase what's available, and make it easy for you to browse through. I've also included some parcels owned by a close family friend. This is not a business, folks. When these parcels are gone, they're gone. Have you been looking for land for awhile, and found out it's a lot harder than it should be? I'm going to try to make this site a new experience for you. I've bought a lot of land myself, and I know it can be frustrating. You've gone to real estate agents, right? You describe exactly what you're looking for. 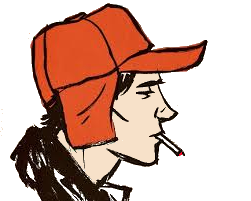 The agent thinks for a moment, and then he prints or copies off a few pages of stuff, and a map for you to look at. Then he says, "Go on out and look, if you decide to buy it come back and we'll write it up." When you get there you're not even sure you're on the right land. You have questions, but there's no one there to help. In the end you just give up and keep looking? That's happened to me too. So you decide to look on the Internet. Every listing you look at just leaves you with a bunch of questions, and you have to call some salesman before you even know enough to know if you might be interested. Heck, even when you call he doesn't know the answers to half the stuff you ask him! So you waste a bunch of time and keep looking. Have I just about covered it? I'm here to make it easy. The parcels I'm selling are displayed on easy to read Index Cards. The index cards give a summary, so you can quickly know if you might be interested. Click on an index card and you'll get more info on that parcel. I'll list all the things that make this property special, such as pre-existing driveways, utilities, and buildings. What about the negative stuff? Yes, I'll tell you that too. Maybe it's something you don't care about anyway, but if it's going to make a difference then you may as well know now, before you waste any more time. I'll tell you everything. I even tell you about nearby shopping and attractions, like where you can swim, fish, or canoe. When you find one you want to actually visit, use our interactive map to see where it's at in relation to you. The flag on the map is based on the latitude / longitude, so it's in the right spot! Be sure to print a copy of the plat. I provide a plat that shows the boundaries and dimensions. For acreage this is usually laid over an aerial photo. When you get there you'll see my sign, just like in the photo (or the website listing will tell you otherwise). All the corners are clearly marked, so you know what you're looking at! We will carry a land contract on any parcel you find here. I even have a Buy it Now button when you're ready. That's right, you can actually buy land right from this site, without talking to me or anyone else first-- people do it all the time. If you do have questions, I'm available through email or by phone and, if you don't get me on the phone on your first try, leave a message-- I actually return messages! My goal is to make it easy for you to find the land you're looking for-- and buy it. 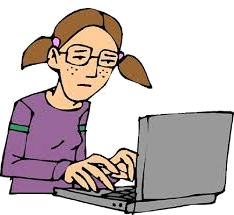 I have some great sites listed here. Every parcel has a unique number, or letter-number to identify it on this site. The numbers are lots, and letter-numbers are for acreage. If you do, I'm sure you know most campsites are quite small. They range from 1,200 to 2,000 square feet. Most of the sites here are more than TEN TIMES that size. Camping is allowed-- bring your camper and leave it as long as you want. No one will tell you to move it. Some of these sites are part of an Association, which means you'll pay a small yearly fee in exchange for lake access and other benefits. Use your keys to let yourself in any time, WITHOUT having to find someone "on duty", or ask permission. If you'd rather not be part of an association, we've got sites nearby which are outside the association. It's your choice. Either way, camp any time you want, for as long as you want. You own it! Later, if you decide to build a retirement home, or just put in a mobile home so you'll have an inexpensive getaway cottage, these sites give you all the room and privacy you'll need. You already know this part of Michigan is the prettiest in the state-- that's why you're looking for land in this area. Did you also know this is one of the best places to hunt? 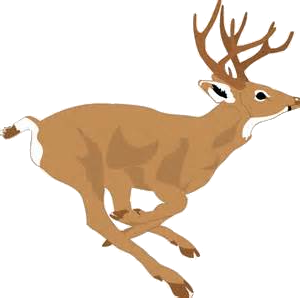 Osceola and Lake Counties have many many thousands of acres of State and National Forest, which means there is lots of wild game. If you've hunted this area, you already know what I mean. Of course if you're hunting public lands, you've probably looked out after the sun comes up, and seen a half-dozen orange hats out in the woods. Hunting in the middle of all that competition is a crapshoot at best. Owning your own place means you can post it, and keep it just for you and your buddies. When you see the tracks, the scrapes, and all the other signs of game you'll find on this land, you'll never want to hunt public land again. 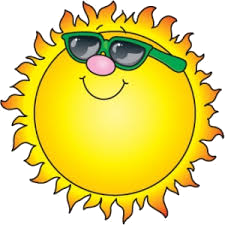 Please browse through our sites and see if there is something here that's right for you. Without even leaving your chair, you can look at photos, maps, and even a satellite view. If the land is platted, you can see and/or print a copy of the plat. Easements? Restrictions? Everything is laid out in the open. You'll want to actually walk on the land before you buy it. 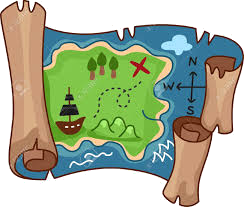 Before you head out, remember to click on the Maps link, and print out a map. This same link will even show you a birdseye satellite view. Print a copy of the plat, and maybe the first photo. Do you have a GPS? I provide latitude and longitude coordinates for each parcel. Not everyone knows this, but most GPS devices will let you enter latitude/longitude coordinates directly. This works for smartphones too. Punch in the coordinates, and your GPS will take you right to the parcel. Did you notice that the group of photos for each parcel shows a sign with a unique tag? which is actually placed on the land. That sign has a unique number or letter on it, which I call a Tag. That Tag can always be seen in more than one of the photos. When you arrive, the land will be easy to find. Just look for the tag, and you'll know you're in the right place. Unlike everyone else, I'm not going to send you out into the woods with no help. Every corner is marked with a bright orange stake. You can't miss it. Bring a copy of the plat with you to make it even easier. We will never charge you closing costs, or any other costs that aren't fully disclosed. Copies of all our contracts are available right here, in PDF format. 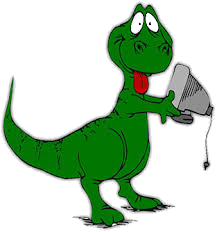 If the land has a big cesspool swarming with dinosaurs... well, I don't have any land like that, but if I did, I'd tell you. I make a point of disclosing everything. When you're ready to buy, click our [Buy-it-Now] button, enter your information, and you'll see a purchase agreement with all the details spelled out in plain language you don't have to be a lawyer to understand. If you have questions, click this link: Frequently Answered Questions or call me at the number printed at the top of the web page. If everything looks agreeable, you'll be taken to a secure site where you can send us a cash deposit, and the land is yours-- pending seller approval. All the rest can be easily done through the mail. If you have questions, I'm only a phone call away. This parcel is suitable for stick-built homes, mobile homes, and/or camping. Access by county road. Underground telephone and electric at the road. Adjacent parcels available. 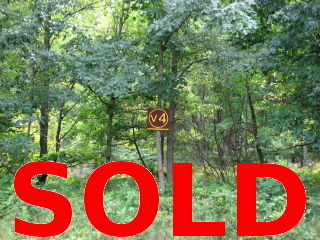 Private access to 373 acre (all sports) Rose Lake. Golfer's note: this land is just across the road from The Rose Golf Course. Cash or Land Contract. $1,690.00 down, $180.78 per month, 15 years, at 11% simple interest; no penalty for early payoff. $500 deposit to secure sale. 90 days same as cash. Payment includes property taxes. This parcel is suitable for stick-built homes, mobile homes, and/or camping. Access by county road. Underground telephone and electric at the road. Already has a driveway. 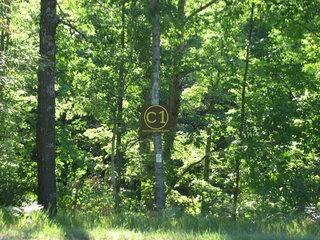 Private access to 373 acre (all sports) Rose Lake. Golfer's note: this land is literally 100 feet from the edge of The Rose Golf Course. Cash or Land Contract. $1,590.00 down, $169.82 per month, 15 years, at 11% simple interest; no penalty for early payoff. $500 deposit to secure sale. 90 days same as cash. Payment includes property taxes. Pull your camper in and start camping! This double-lot corner parcel already has a driveway and is suitable for stick-built homes, mobile homes, and/or camping. Access by county road. Underground telephone and electric at the road. 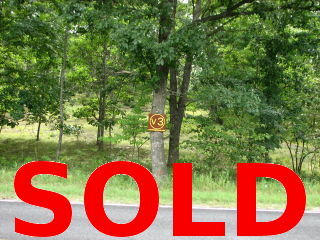 Private access to 373 acre (all sports) Rose Lake. Cash or Land Contract. $1,990.00 down, $218.98 per month, 15 years, at 11% simple interest; no penalty for early payoff. $500 deposit to secure sale. 90 days same as cash. Payment includes property taxes. This parcel is suitable for stick-built homes, mobile homes, and/or camping. Access by county road. Underground telephone and electric at the road. 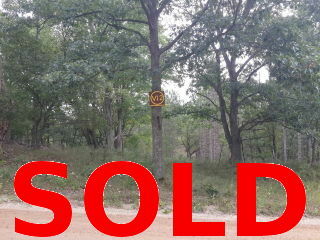 Private access to 373 acre (all sports) Rose Lake. Cash or Land Contract. $1,590.00 down, $171.73 per month, 15 years, at 11% simple interest; no penalty for early payoff. $500 deposit to secure sale. 90 days same as cash. Payment includes property taxes. Cash or Land Contract. $2,290.00 down, $244.82 per month, 15 years, at 11% simple interest; no penalty for early payoff. $500 deposit to secure sale. 90 days same as cash. Payment includes property taxes. Cash or Land Contract. $1,690.00 down, $180.05 per month, 15 years, at 11% simple interest; no penalty for early payoff. $500 deposit to secure sale. 90 days same as cash. Payment includes property taxes. Cash or Land Contract. $1,690.00 down, $180.45 per month, 15 years, at 11% simple interest; no penalty for early payoff. $500 deposit to secure sale. 90 days same as cash. Payment includes property taxes. Cash or Land Contract. $1,390.00 down, $149.91 per month, 15 years, at 11% simple interest; no penalty for early payoff. $500 deposit to secure sale. 90 days same as cash. Payment includes property taxes. This parcel is suitable for stick-built homes, mobile homes, and/or camping. Access by county road. Underground telephone and electric at the road. Adjacent parcels available. 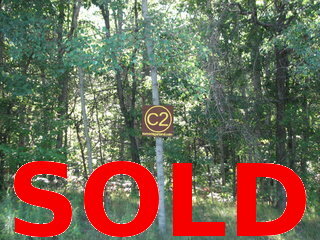 Private access to 373 acre (all sports) Rose Lake. Very nearby The Rose Golf Course. Cash or Land Contract. $1,890.00 down, $204.70 per month, 15 years, at 11% simple interest; no penalty for early payoff. $500 deposit to secure sale. 90 days same as cash. Payment includes property taxes. This is a beautiful parcel with many hardwoods. Suitable for stick-built homes, modular homes, and/or camping. Access by county road. Underground telephone and electric at the road. Existing driveway and campsite. 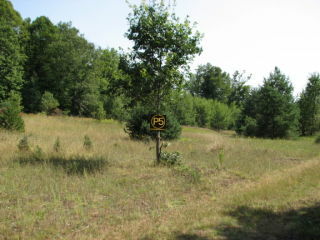 Private access to 373 acre (all sports) Rose Lake. Cash or Land Contract. $1,690.00 down, $184.23 per month, 15 years, at 11% simple interest; no penalty for early payoff. $500 deposit to secure sale. 90 days same as cash. Payment includes property taxes. Cash or Land Contract. $1,690.00 down, $180.99 per month, 15 years, at 11% simple interest; no penalty for early payoff. $500 deposit to secure sale. 90 days same as cash. Payment includes property taxes. This beautiful 11.81-acre parcel is nicely wooded, and is located on a paved county road, just a mile and a half west of Hwy 131. It already has a driveway, and has electricity readily available. Cash or Land Contract. $3,090.00 down, $358.24 per month, 15 years, at 11% simple interest; no penalty for early payoff. $500 deposit to secure sale. 90 days same as cash. Payment includes property taxes. This beautiful 9.68-acre parcel is nicely wooded, and is located on a paved county road, just a mile and a half west of Hwy 131. It already has a driveway, and has electricity readily available. Cash or Land Contract. $2,990.00 down, $337.82 per month, 15 years, at 11% simple interest; no penalty for early payoff. $500 deposit to secure sale. 90 days same as cash. Payment includes property taxes. 10 beautiful acres, just a mile and a half west of Hwy 131. Cash or Land Contract. $3,090.00 down, $330.41 per month, 15 years, at 11% simple interest; no penalty for early payoff. $500 deposit to secure sale. 90 days same as cash. Payment includes property taxes. 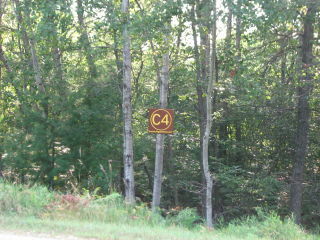 14.30 beautiful acres with easy access, just a mile and a half west of Hwy 131. Cash or Land Contract. $3,390.00 down, $374.15 per month, 15 years, at 11% simple interest; no penalty for early payoff. $500 deposit to secure sale. 90 days same as cash. Payment includes property taxes. Cash or Land Contract. $10,790.00 down, $1,211.51 per month, 15 years, at 11% simple interest; no penalty for early payoff. $500 deposit to secure sale. 90 days same as cash. Payment includes property taxes. Cash or Land Contract. $6,690.00 down, $761.71 per month, 15 years, at 11% simple interest; no penalty for early payoff. $500 deposit to secure sale. 90 days same as cash. Payment includes property taxes. This 69.83-acre parcel is beautifully wooded, on paved county road. Cash or Land Contract. $18,990.00 down, $2,121.13 per month, 15 years, at 11% simple interest; no penalty for early payoff. $500 deposit to secure sale. 90 days same as cash. Payment includes property taxes. This secluded 10-acre parcel is beautifully wooded, and great hunting. Cash or Land Contract. $3,290.00 down, $348.44 per month, 15 years, at 11% simple interest; no penalty for early payoff. $500 deposit to secure sale. 90 days same as cash. Payment includes property taxes. Corner parcel on County road. Driveway and cleared campsite. Easy electric, great hunting. Mix of hardwood and pines. Cash or Land Contract. $3,590.00 down, $390.22 per month, 15 years, at 11% simple interest; no penalty for early payoff. $500 deposit to secure sale. 90 days same as cash. Payment includes property taxes. County road, Driveway and cleared campsite. Easy electric. Great hunting. Mix of hardwood and pines. Cash or Land Contract. $3,490.00 down, $379.99 per month, 15 years, at 11% simple interest; no penalty for early payoff. $500 deposit to secure sale. 90 days same as cash. Payment includes property taxes. County road. Has a very old driveway that can be easily revived with a little trimming. Easy electric. Great hunting. Mix of hardwood and pines. Cash or Land Contract. $3,290.00 down, $359.53 per month, 15 years, at 11% simple interest; no penalty for early payoff. $500 deposit to secure sale. 90 days same as cash. Payment includes property taxes. County road. Existing driveway needs a little trimming. Easy electric. Great hunting. Mix of hardwood and pines. Cash or Land Contract. $3,390.00 down, $369.76 per month, 15 years, at 11% simple interest; no penalty for early payoff. $500 deposit to secure sale. 90 days same as cash. Payment includes property taxes. 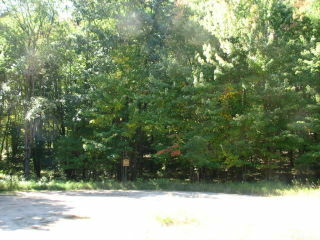 Unique parcel with rolling hills and it's own stand-alone forest of hardwoods. Plenty of open area around the edge of the trees-- pull in and set up camp the same day. Cash or Land Contract. $3,290.00 down, $360.88 per month, 15 years, at 11% simple interest; no penalty for early payoff. $500 deposit to secure sale. 90 days same as cash. Payment includes property taxes. Beautifully wooded in hardwoods with great spot for 1-1/2 acre pond. This is where all the wildlife in the area comes for water. Cash or Land Contract. $3,490.00 down, $381.35 per month, 15 years, at 11% simple interest; no penalty for early payoff. $500 deposit to secure sale. 90 days same as cash. Payment includes property taxes. Lots of clearing, dotted with occasional hardwoods. Great for rifle hunting. Cash or Land Contract. $2,990.00 down, $330.19 per month, 15 years, at 11% simple interest; no penalty for early payoff. $500 deposit to secure sale. 90 days same as cash. Payment includes property taxes. Easily drive right in from the paved County road. The two-track easement gives easy access to the entire length of this land. Pull in and set up camp the same day. Cash or Land Contract. $3,490.00 down, $368.57 per month, 15 years, at 11% simple interest; no penalty for early payoff. $500 deposit to secure sale. 90 days same as cash. Payment includes property taxes. Easy access on paved road. Cash or Land Contract. $3,390.00 down, $358.01 per month, 15 years, at 11% simple interest; no penalty for early payoff. $500 deposit to secure sale. 90 days same as cash. Payment includes property taxes. Situated on paved County road. Clear a little brush and you can make your own driveway. Cash or Land Contract. $3,590.00 down, $379.13 per month, 15 years, at 11% simple interest; no penalty for early payoff. $500 deposit to secure sale. 90 days same as cash. Payment includes property taxes. Situated on paved County road. Hardwoods in front, with some pine at the back. Cash or Land Contract. $3,190.00 down, $336.89 per month, 15 years, at 11% simple interest; no penalty for early payoff. $500 deposit to secure sale. 90 days same as cash. Payment includes property taxes. Situated on paved County road. Beautifully wooded with easy access to electric. Cash or Land Contract. $3,290.00 down, $347.45 per month, 15 years, at 11% simple interest; no penalty for early payoff. $500 deposit to secure sale. 90 days same as cash. Payment includes property taxes. Old trail can easily be groomed into a driveway. Marsh in the corner is a water source for local wildlife. Excellent Hunting! Cash or Land Contract. $6,190.00 down, $653.72 per month, 15 years, at 11% simple interest; no penalty for early payoff. $500 deposit to secure sale. 90 days same as cash. Payment includes property taxes. Easily drive right in from the gravel County road. An old existing driveway can be easily cleared. Easily drive right in from the gravel County road. The two-track easement gives easy access to the entire length of this land. Pull in and set up camp the same day. Cash or Land Contract. $3,090.00 down, $326.33 per month, 15 years, at 11% simple interest; no penalty for early payoff. $500 deposit to secure sale. 90 days same as cash. Payment includes property taxes. The two-track easement gives easy access to the entire length of this land. Pull in and set up camp the same day. Cash or Land Contract. $2,990.00 down, $315.77 per month, 15 years, at 11% simple interest; no penalty for early payoff. $500 deposit to secure sale. 90 days same as cash. Payment includes property taxes. The two-track easement gives easy access to enter this land and traverse much of it. Pull in and set up camp the same day. Cash or Land Contract. $2,890.00 down, $305.21 per month, 15 years, at 11% simple interest; no penalty for early payoff. $500 deposit to secure sale. 90 days same as cash. Payment includes property taxes. Copyright 2014 thru 2018, PRTC Trust, All rights reserved.